A 3 year old boy has a button battery lodged up his nose. It has proved impossible to remove due to his admirable combativeness. You decide to perform procedural sedation using ketamine to remove the foreign body. Q1. What are the risks of leaving a button battery in the nasal cavity? Q2. What extraction methods can be used? Q3. How is ketamine used for procedural sedation? Traditionally, in older children (e.g. >5 years old), prophylactic administration of a low-dose benzodiazepine (midazolam, 0.02-0.05 mg/kg) is given to reduce the risk of emergence phenomena such as hallucinations and agitation. However, this is not supported by evidence from randomised controlled studies. Instead midazolam appears to be associated with more respiratory complications and less emesis. Atropine (0.02 mg/kg, up to maximum of 0.6mg) or glycopyrrolate are widely administered as a co-medication to reduce the hypersalivation caused by ketamine. The evidence-base for this practice is unclear. A recent RCT (2011) in Annals of Emergency Medicine showed an NNT of 6 for pre-administration of 0.03mg/kg IV midazolam for reducing agitation from ketamine in adults. Reuben Strayer discusses this in Taming the Ketamine Tiger, and provides a good rationale for avoiding pre-medication and taking a prn approach. Q4. What are the risks of performing this procedure with ketamine sedation? ketamine induces neuronal death in animal studies — the implication of this for clinical use is not yet known. While the battery is being removed the boy develops laryngospasm. Q5. What are the clinical features of laryngospasm? Laryngospasm is potentially life-threatening closure of the true vocal chords resulting in partial or complete airway obstruction unresponsive to airway positioning maneuvers. Laryngospasm may be preceded by a high-pitched inspiratory stridor — some describe a characteristic ‘crowing‘ noise — followed by complete airway obstruction. It can occur without any warning signs. It should be suspected whenever airway obstruction occurs, particularly in the absence of an obvious supraglottic cause. Q6. What are the clinical features of complete airway obstruction? Q7. How would would you manage the laryngospasm? Tell the proceduralist to stop the procedure. Call for expert help. 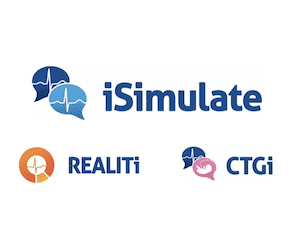 Ensure equipment for difficult intubation is at hand. Administer 100% oxygen through a mask with a tight seal and a closed expiratory valve to try to force the vocal cords open with positive pressure. Hypoxia can occur rapidly in children when ventilation is inadequate. Use suction to clear the airway of blood and secretions – but only if the child is adequately oxygenated. Attempt manual ventilation while continuing to apply continuous positive airway pressure (CPAP). Attempt to break the laryngospasm by applying painful inward and anterior pressure at ‘Larson’s point‘ bilaterally while performing a jaw thrust. Larson’s point is also called the ‘laryngospasm notch‘. Consider deepening sedation/ anesthesia (e.g. low dose propofol) to reduce laryngospasm. If hypoxia supervenes consider administering suxamethonium. A dose of only 0.1-0.5 mg/kg may be sufficient, but in severe laryngospasm administer a full dose (1-2 mg/kg IV) and perform intubation. If there is no IV access administer the suxamethonium IM (3-4 mg/kg). Many experts advocate IM injection into the tongue. Be prepared for bradycardia and cardiac arrest as a result of airway manipulation and/or suxamethonium administration in the hypoxic child. Correct hypoxia urgently and administer atropine (0.02mg/kg) for bradycardia.Laryngospasm is usually brief and may be followed by a gasp – you may need to wait for this moment when attempting to pass a tracheal tube. A chest thrust maneuver immediately preceding intubation may temporarily open the vocal cords and allow passage of the tube. Laryngospasm may recur as neuromuscular blockade wears off. 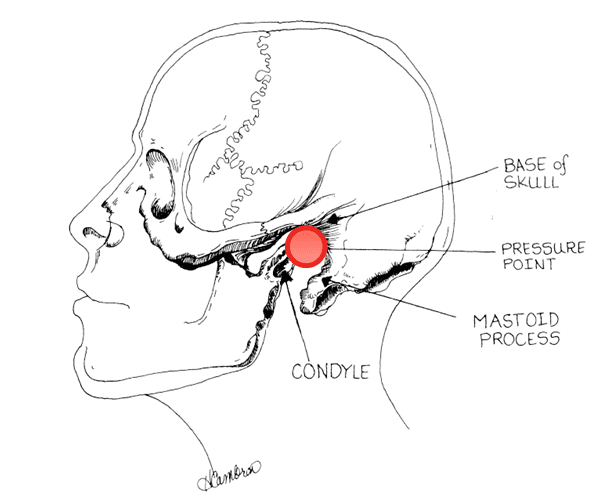 Schematic illustration of laryngospasm notch bounded anteriorly by the condyle of the mandible, posteriorly by the mastoid process, and superiorly by the base of the skull. Digital pressure is applied firmly inwardly and anteriorly on each side of the head at the apex of the notch (see pressure point arrow), which is slightly cephalad to the plane of the earlobes (not shown). Q8. Is laryngospasm a complication associated with ketamine? Ketamine is known to preserve and exaggerate protective airway reflexes. Laryngospasm is a much feared complication — however, it is extremely rare.From a 1990 meta-analysis of 97 studies including 11.589 children, Green and colleagues reported a rate of laryngospasm of 0.4% from ketamine sedation. In nearly all cases the laryngospasm was transient and responded to oxygenation and ventilation. 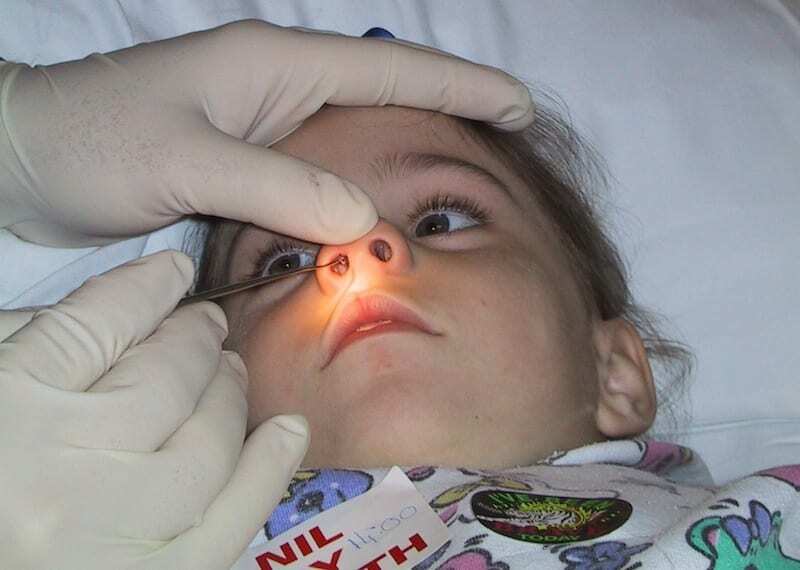 Only two children (0.017%) required intubation for laryngospasm. Laryngospasm is more common in children compared with adults. Q9. How can laryngospasm be prevented? Ensure adequate depth of sedation before commencing the procedure and avoid stimulation of the posterior pharynx. Spraying the posterior pharynx with 1% lignocaine may reduce the risk of laryngospasm, but local anesthesia may also compromise airway protection. Q10. What are the contraindications for ketamine sedation? Note that elevated intracranial pressure due to ketamine is controversial — and probably a myth — but is still widely quoted as a complication/ contra-indication for ketamine use. Madati PJ (2010). 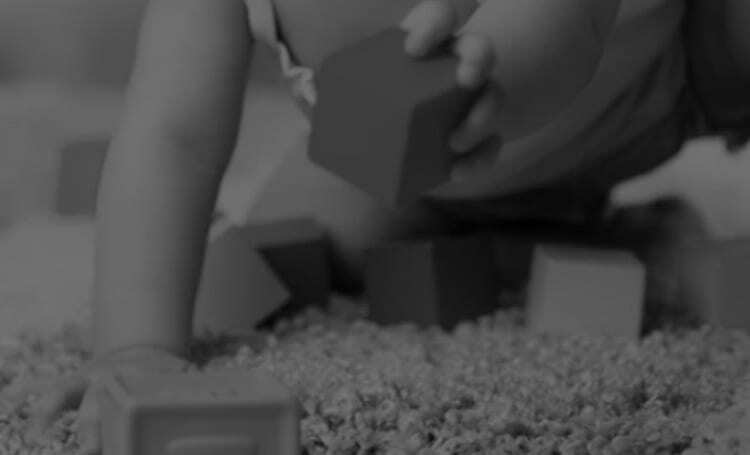 Ketamine: Procedural Pediatric Sedation In The Emergency Department. Pediatric Emergency Medicine Practice, 8(1).